Post Five Hundred as Five Was Antiquity’s Crown Jewel. I feel this post is a mile marker. Earlier I had mentioned my goal was 1,001. This was a number connected to Scherherazade. The story goes that King Shahryar (شهریار Šahryār, from Middle Persian šahr-dār, “holder of the realm, king”) discovered his first wife was unfaithful. Therefore, he resolved to marry a new virgin each day. He would kill the previous day’s wife. This way she would have no chance to be unfaithful. 1,001 women had their lives ended. 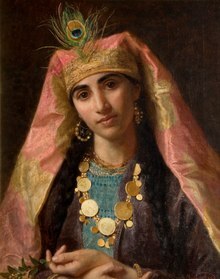 Then he was introduced to Scheherazade, the vizier‘s daughter. Scherherazade told the King 1,001 tales. One each consecutive night. After this, the king spared his Queen. Some background on this woman who saved countless women who would have followed is in the internal link below. Well, here is my 500th story: Once upon a time number squares were the spine of a Golden Age. The first 7 were of primary significance. The first and smallest was 3 x 3. Number five sits at its center. It is at the kernel of the smallest of number squares. The entire cosmos grows from this grain of mustard seed. I have an internal link that explains some of its secret codes. Below is an illustration of this tiny number square that becomes infinite. Five is the crown jewel of all the number squares. 3 x 3 was Saturn. It was the lawgiver. 4 x 4 invoked Jupiter. 5 x 5 was of Mars. My posts can all be freely accessed. A former Golden Age was marked by peace and plenty. I believe the codes of this tiny square were activated and then applied to achieve this purpose.